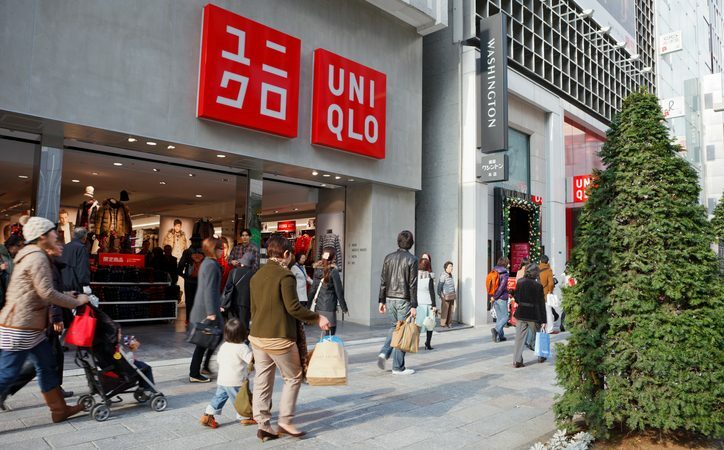 As Australian retailers flounder under rising margins and plummeting sales, Japanese retail giant Uniqlo has announced double-digit sales growth. So what’s the secret to the retailer’s thriving business model? The clothing chain experienced an almost $31 million growth in revenue across its 16 Australian stores in 2018 in just one year – totalling revenue of $243,045,453. The growth, noted in ASIC documents filed last year, marks a before-tax profit of $9.75 million just four years after it first came to Australia in 2014 – dwarfing other retailer’s performance. Brian Walker, CEO of the Retail Doctor told Retailbiz the retailer’s success comes down to its ‘back to basics’ approach – including its granular focus on customer service and training staff, with sales staff even taught ‘10 Commandments’ of staff behaviours. “Within the business they have this incredible focus to their staff, to their staffs performance and to the customer experience such that their focus on being a team member,” he says. But the fact the retailer’s apparel offering caters to a wide range of Australians, and meets a variety of functionality requirements has also seen fortune in their favour. “Retailers typically think about categories and deployment of categories,” he says. But strategic placement of their 16 Australian stores has also powered the retailer’s success, Mr Walker says. The brand’s timeless product offering has also set it apart from other retailers, he says. “Retailers, particularly in fashion, talk about core and seasonal. [Uniqlo] talk about core in seasons and there’s a difference,” he says. But timing has also been “everything” for Uniqlo, Mr Walker says, and they have managed to create a brand that is “so on-trend” that it’s become “cool” to buy Uniqlo. This is partly thanks to their success in targeting millennials and other key markets, and their “deference” of customers, perhaps thanks to their Japanese heritage, Mr Walker says. “They have very cleverly segmented marketing and branding to millennials. You can see in the way they build conversations with customers online, on social media and in shops there’s this building of a community and there’s a bit of an honouring of the customer – which goes to the brand’s Japanese heritage – and something that you don’t see in more westernised retailers,” he says. But the continued success of the retailer will depend on its ability to branch out and continue to drive these values that sets it apart from other retailers, according to Mr Walker. “The long-term play remains interesting. So the question is: how long can they hold the magic for?,” he says.